Incoming class of 2018-2019 in Colombia. Barbosa, Santander, Colombia—By the grace of God the 17th session of the BETH-EL Missionary School, class of 2018-2019, has begun its studies. In this class, we have students representing Colombia, Honduras, and Mexico. This year we have an all women's class made up of 18 sisters. 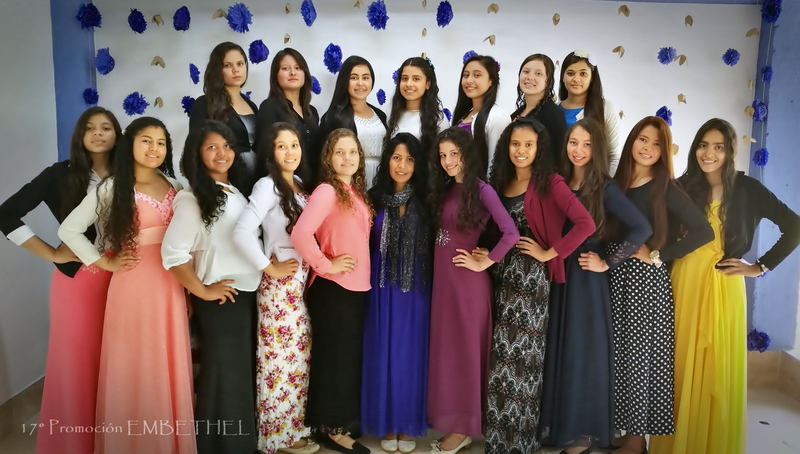 With much effort and dedication, these young ladies are investing their time in the most important preparatory work that the human being can engage in: winning souls for the Kingdom of Heaven. Some have experienced great financial sacrifice, but with much faith, they advance believing that the Owner of gold and silver will provide for their theological training. If you would like to sponsor a missionary school student in Colombia, you can contribute here (specify Missionary School in Colombia) or contact the school directly: +57 310 8619150 - +57 313 2965755. Get to know the students in the gallery here and read more about the BETH-EL Missionary School by clicking here.